The Pote Plus My First WC is a miniature toilet design for your that little one to encouraging them to use the potty more and guide them through the transition of potty training. 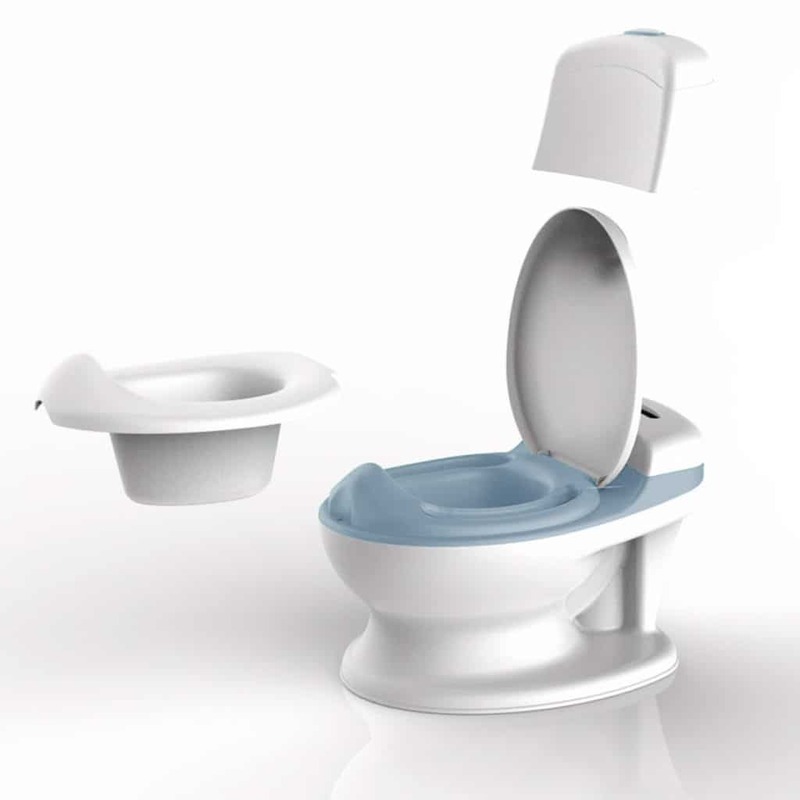 The Venture Pote Plus looks and sounds just like an adult toilet, and comes complete with flip-up seat lid, an easily removable bowl, realistic flushing button with lights and sounds, and a built-in wipe compartment. 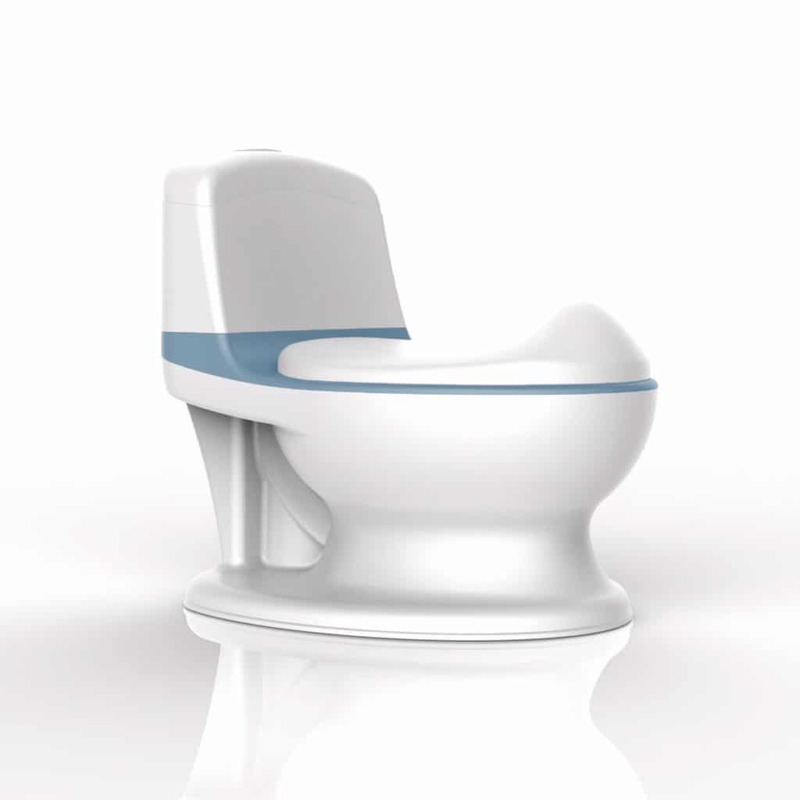 The Venture Pote Plus looks and sounds just like an adult toilet! Mimics a real toilet to make potty training fun for your little one. Flushing sounds to make each visit to the potty as fun as the last. Removable inner tray for hassle free disposal. Nothing to dislike about this item our grandson loves it he even sits on it watching TV.He loves the authentic noise it makes when flushing would certainly recommend it.PS a wee tip we bought extra batteries as he loves the flushing noise HA HA. My baby likes this potty. It’s very comfortable for kids. 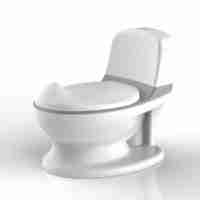 4th potty I’ve tried with my 3yr old son and it’s a miracle worker! He has been difficult to potty train until now,he loves his own little toilet and loves to flush after use. Would definitely recommend for any potty training child. We received it very quickly! Very easy to assembly, gorgeous, easy to clean, very fun for the kids to flush after using it. But the most important: my boy is finally using a potty!!! I’ve tryed everything, and I’ve finally find « the potty ». I’m the most happy mum in the world. 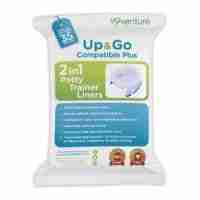 I recommand this product! The Pote Plus My First WC potty has a miniature toilet design for your that helps encourage your little one to use the potty more! Some children may not enjoy using the potty as it’s clearly far different to what other kids, and their parents do. The Pote Plus Bridges this gap as it mimics the look and feel of a real adult toilet, making the journey from the potty to the toilet a little less daunting and a little more exciting. The Venture Pote Plus looks and sounds just like an adult toilet. It comes with a flip up seat lid and a realistic flushing button, that when pushed rewards your child with lights and flushing sounds, bringing them closer to how it feels to use the big toilet and introducing them to the process of using the toilet at an earlier stage. The Pote Plus My First WC is designed to help promote hygienic potty training and help guide your child to follow good habits of flushing, closing the lid and wiping after every use. It’s built in storage compartment can be used to house baby wipes, so after each use they understand that they will also need to clean themselves. The removable inner tray makes it super easy to dispose of waste following use and is easily cleaned for the next time.